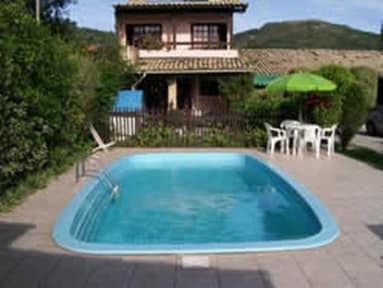 Apart from that we offer 3 suites, 1 with cooking facilities for 2 or 3 people, all in quiet garden surroundings with parking space, swimming pool and community barbecue place. Our location also affords easy access to famous Praia Mole for experienced and professional surfers and Joaquina beache with dunes for sand surfing. We are experienced travellers who speak, German, English, Spanish, Portuguese and Japanese. 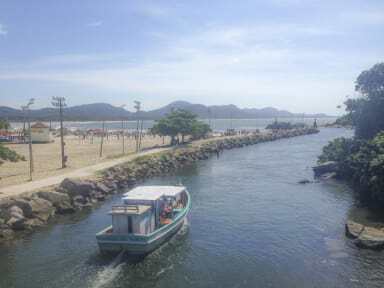 Florianopolis itself is a reasonably modern state capital with 400.000 inhabitants, no more than 30km from any point on the island, with shopping malls and eateries to enjoy, and clubs and nightlife aplenty.